SPANGLISH SPOKEN HERE: The “Tejanos-Mexicanos” are a unique people who essentially created a new geo-cultural group when the lines separating Old Mexico and the US were redrawned. As shown by the map above, Mexico and Texas from a geographic view point occupied the same land mass as did other western states. Once the new geographic line became permanent, it gave birth to a blended culture, and a nation that changed overnight and an experience for only those families who lived along the present border between the US and Mexico, that is, on the US side i.e., Texas, Arizona, New Mexico and Upper California. Similarly, northern states on Mexico’s side includes: Tamaulipas, Nuevo Leon, Coahuila, Chihuahua, Sonora and Baja California. 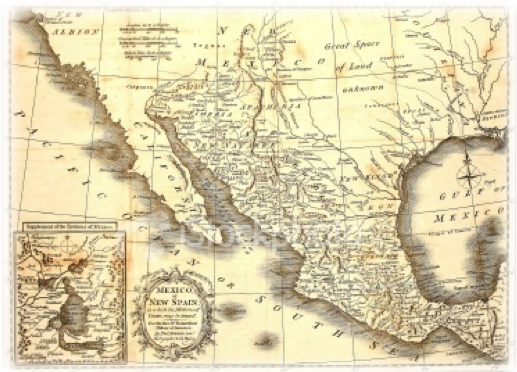 Factors such as geography, native people who lived in the area, the influence from new comers who arrived from other parts of the world and blended families gave birth to unique cultures along the Mexico and US border. Language played an important part in this unique development of each culture on both sides of the border. From this mix of people “SPANGLISH” was born a vernacular that continues to stimulate different language branches. Therefore, as you visit the website you will see a bit of “SPANGLISH” linguists call this “code switching.” However as it applies to the people along the border it was a linguistic evolution and revolution. Migrants and Pioneros de Oregon understand this well! EXAMPLE: “limpia tu fit porque tenemos nueva carpet”….You can guess what this is☺! NOTE: Cognates will be used to make text easier to understand or you can use the translator.